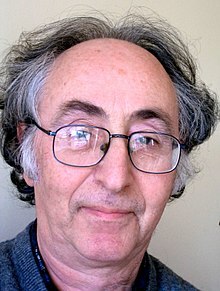 Brian David Josephson (born 4 January 1940) is a Welsh theoretical physicist and professor emeritus of physics at the University of Cambridge. Best known for his pioneering work on superconductivity and quantum tunnelling, he was awarded the Nobel Prize in Physics in 1973 for his prediction of the Josephson effect, made in 1962 when he was a 22-year-old PhD student at Cambridge University. Josephson is the only Welshman to have won a Nobel Prize in Physics. He shared the prize with physicists Leo Esaki and Ivar Giaever, who jointly received half the award for their own work on quantum tunnelling.Josephson has spent his academic career as a member of the Theory of Condensed Matter group at Cambridge's Cavendish Laboratory. I believe that we can 'sense' the future. We just haven't yet established the mechanism allowing it to happen.